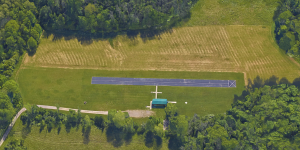 Here is a “bird’s eye” view of our airfield! There is plenty of parking, a paved 400-foot runway and covered pit area with on-site charging. ALL flying should be east of the runway,(opposite the pit area). 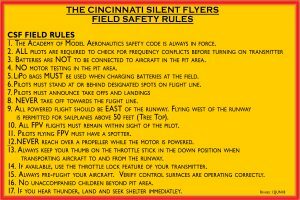 No flying should be over the parking, pit or flight line. You can now follow the Cincinnati Silent Flyers on Facebook!